The Hideout Lodge & Guest Ranch www.thehideout.com is an upscale all-inclusive working cattle, horse and riding guest ranch in Shell, Wyoming - East of Cody and Yellowstone National Park. 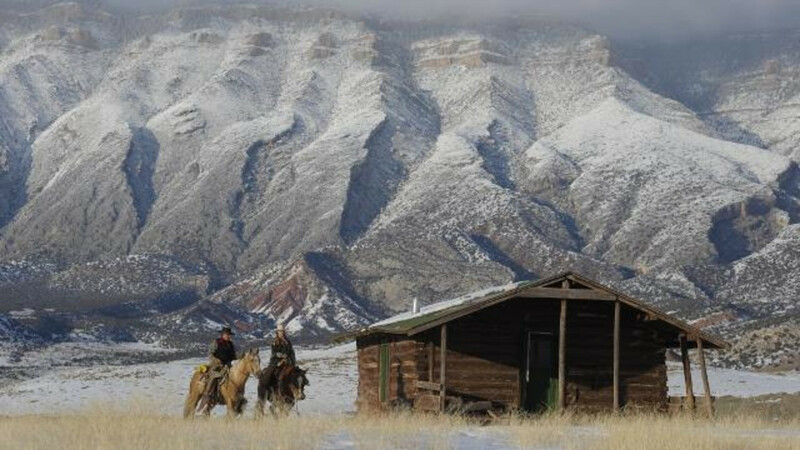 As a guest ranch we are limited to apprimately 25 riding guests per week. 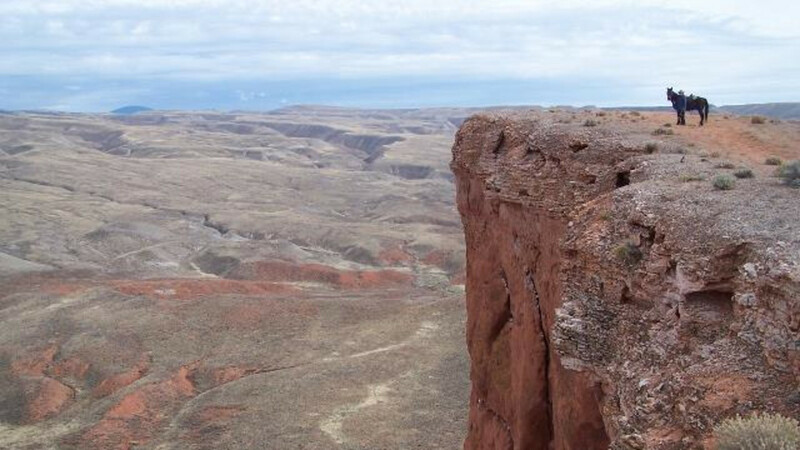 With access to over 650,000 acres in the Big Horn National Forest, BLM and private lands, the riding, working cattle, hiking, biking, kayaking, and touring opportunities are endless. We ride our own private lands in addition to BLM, National Forest and Wildernes leases depending on the season. Due to the many exposed formations this area offers a rarely seen variety of scenery with elevations ranging from 4200 to 13,100 feet. 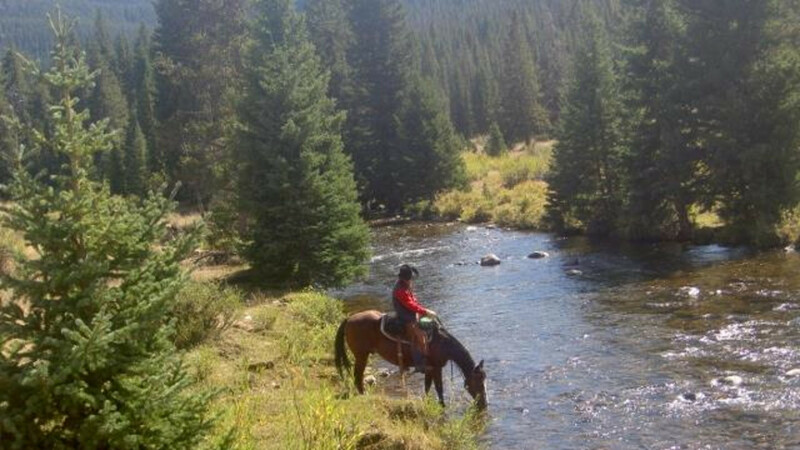 You will rarely ride the same trail twice during your stay at The Hideout Lodge & Guest Ranch. During the day you can ride with our wranglers and cowboys on trails, herd cattle or participate in a variety of non-riding activities such as fly-fishing, trapshooting, archery, 4x4 scenic tours, hiking, biking, dinosaur digs, Cody Rodeo, etc. We have a full time fly-fishing guide on staff which is included in your stay at The Hideout. 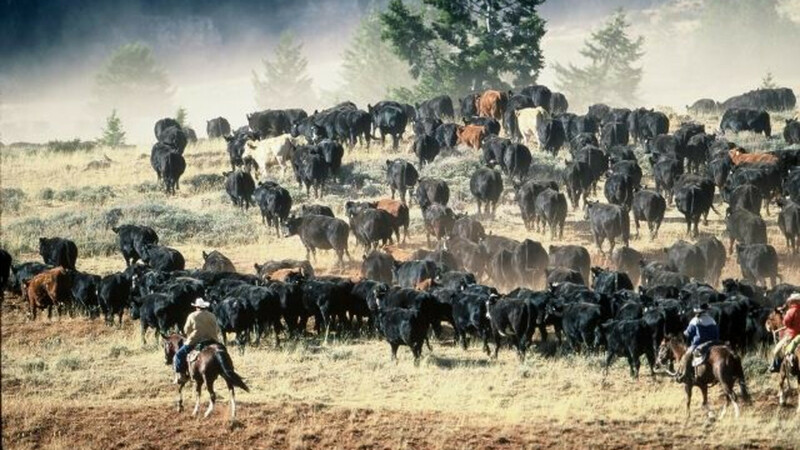 The Hideout is NOT a Nose to Tail Ranch but a real riding ranch. 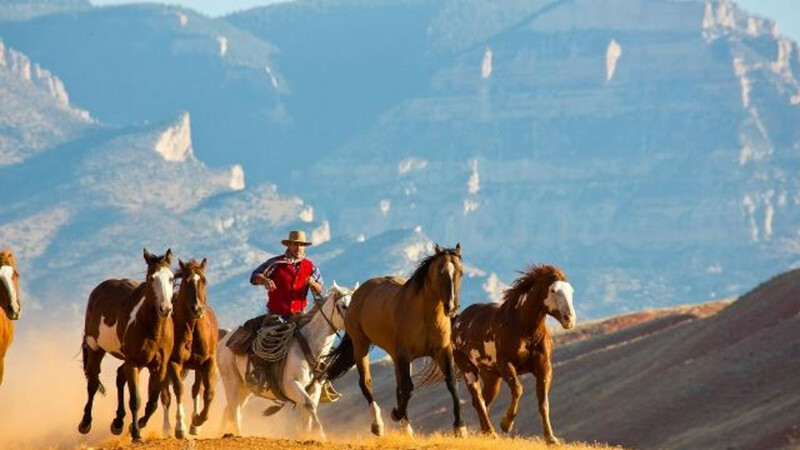 Most of our guests come to ride horses, learn to ride, herd cattle, work on their horsemanship or simply indulge in miles and miles of open spaces, canyons, mountains and wilderness. 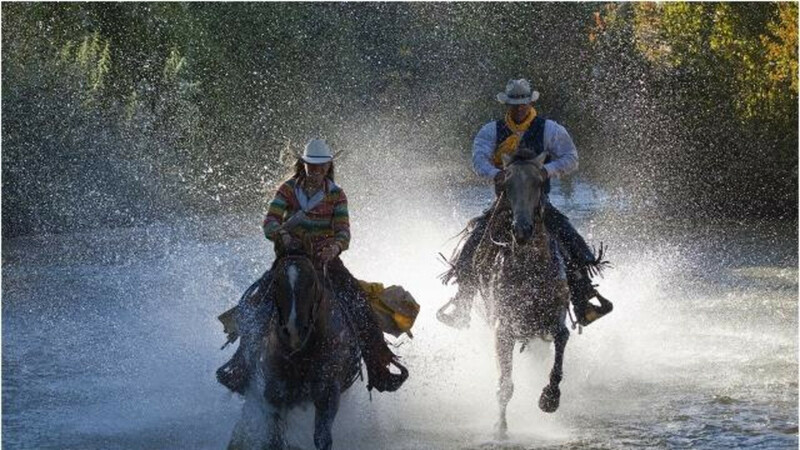 We have a 3:1 horse / guest ratio and our wranglers / guides / cowboys take a maximum of 5 guests on a ride. We own most of our horses but do lease around 10 horses for the summer months bringing our seasonal total to approximately 85 horses for 25 guests. We have horses for very advanced riders as well as beginning riders. We adapt our riding to the level of riders. 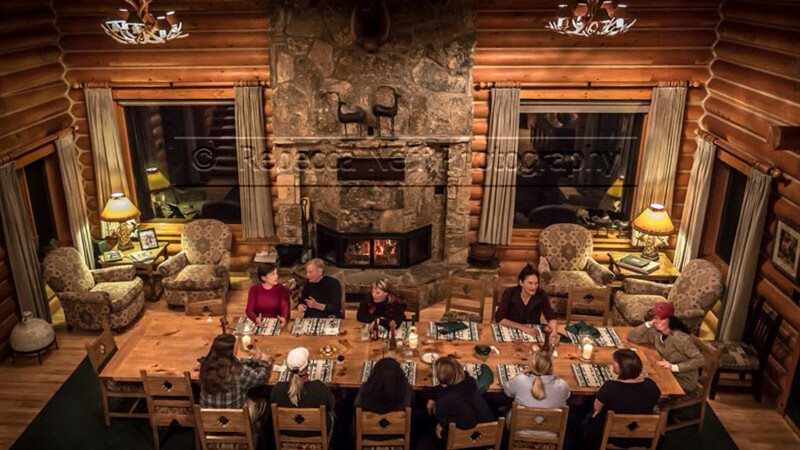 When it comes to the hospitality side of the guest ranch we believe in pampering our guests with attractive, clean and well maintained cabins which are well appointed and nicely decorated. The Hideout is a well funded guest ranch where management and owners are actively involved in the operation and with the guests. More and more guests return every year also for the culinary side of The Hideout. We believe in healthy food and our chef is very creative in coming up with new ideas catering to most common diets like gluten free, vegetarian, etc. During the summer we grow many of our own vegetables and we source many ingredients locally from trusted partners. Although we can accommodate groups up to 32 people, The Hideout limits the amount of riding guests to approximately 25 guests per week, allowing for personalized attention to all who ride and work along our staff, management and owners. The Hideout staff is diverse and languages spoken on the Ranch include English, French, Dutch, Spanish and some German. In addition to our normal guest weeks, The Hideout can accommodate best-ever family gatherings, and dynamic corporate events. Every year several photography tour operators rent out The Hideout for dedicated photography weeks both in Fall and Winter. 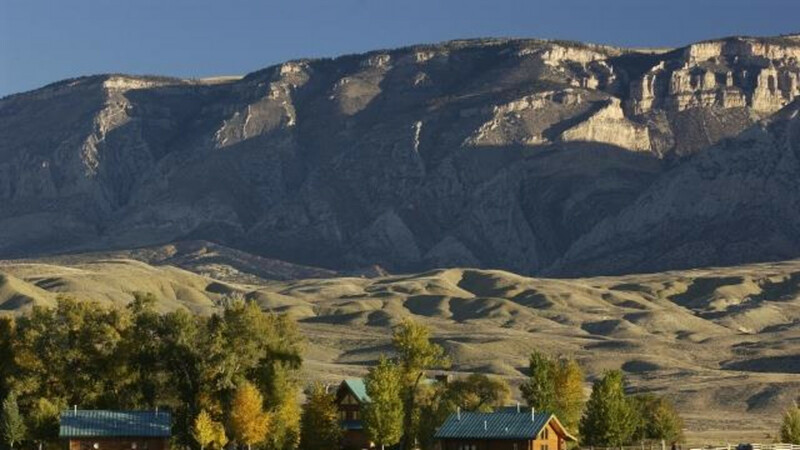 The Hideout Lodge & Guest Ranch is a member of the North American Dude Ranch Association (DRA), Bestguestranches, Top 50 Ranches Worldwide, the Wyoming Dude Ranch Association and others renowned organizations in the industry. Have been visiting for 5 years now.